When you’ve had a hard day and you just want to come home and wrap in your blanket like a taco this Magical Mist will give you a blanket of tranquility to help you out. 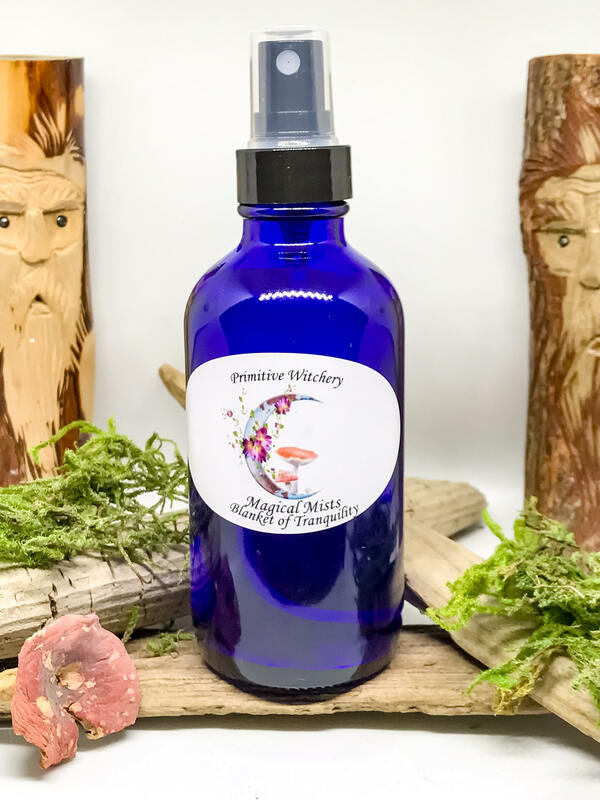 Made with high quality essential oils, you may use this as an air freshener, body spray, linen spray, sacred space spray, and home spray. It also has Bach Flower Therapy White Chestnut to help you forget the argument you had, or the bad day, so that you will not keep replaying it in your mind, allowing you to escape your thoughts and relax. Comes in a 4 ounce blue glass mister bottle, or a smaller 2 oz blue glass mister.